This summer I’ll be planting a small pollinator garden on our boulevard. It’s the start of what I hope will be a bigger garden along my hellstrip—the 55-by-7 foot stretch of our property between the sidewalk and the street. Start small, and grow it from there is a good motto in the garden. Still, seeing a big, private garden with a focus on pollinators is inspiring. From the driveway, the yard was a sea of wildflowers. During the recent Garden Bloggers Fling in Austin, TX, we visited the garden of Ruthie Burrus. 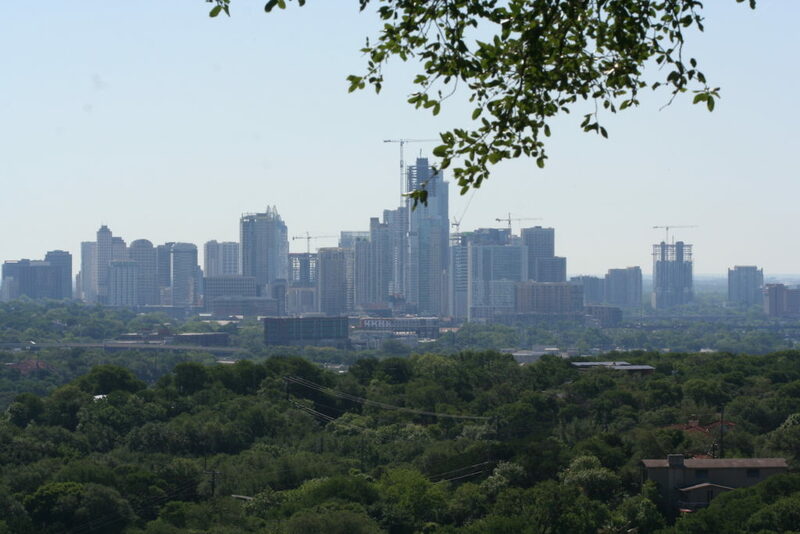 The property includes a magical stone garden house and a killer view of downtown Austin, but it was the long, hilly driveway flanked by native plants that blew me away. The field was buzzing with bees, moths and butterflies, and I’m sure, dozens of pollinators I could not identify. The sheer expanse of the garden was impressive. 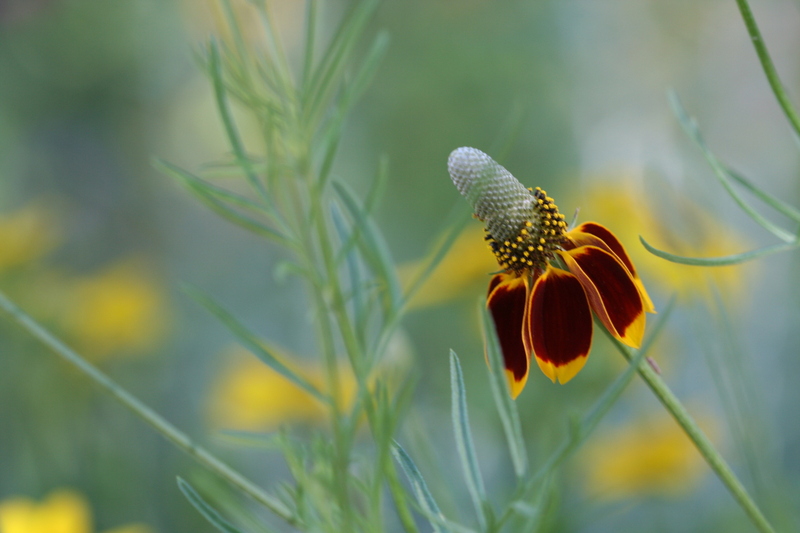 Native plants filled the space, including blanket flower, beebalm, Mexican hat, winecup and Texas lantana. I couldn’t identify all the butterflies and bees feeding along the hill but I recognized monarchs and painted ladies. 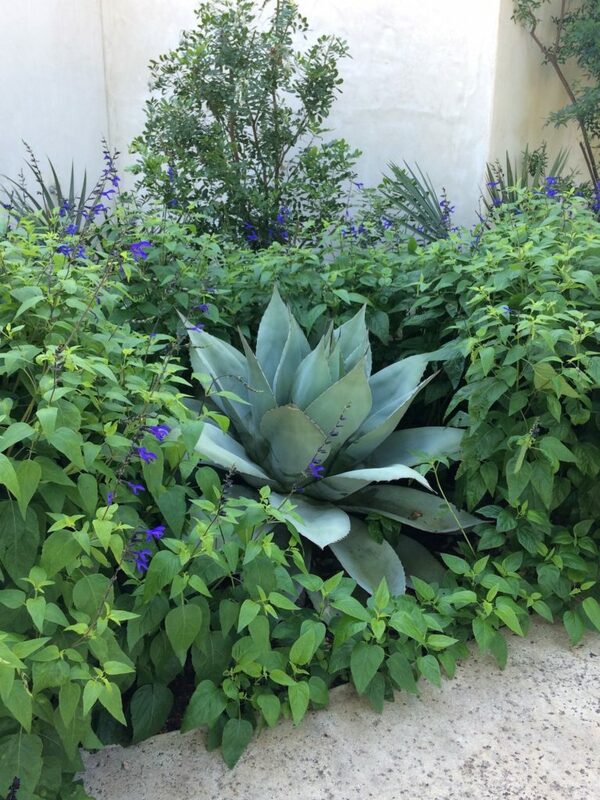 At the top of the hill, near the house, Ruthie uses more pollinator-friendly plants, including ‘Black and Blue’ salvia around this blue agave, and a hedge of a native salvia along one edge of the property. The back yard is much smaller than the front and includes a beautiful pool and patio area along with that stunning view. 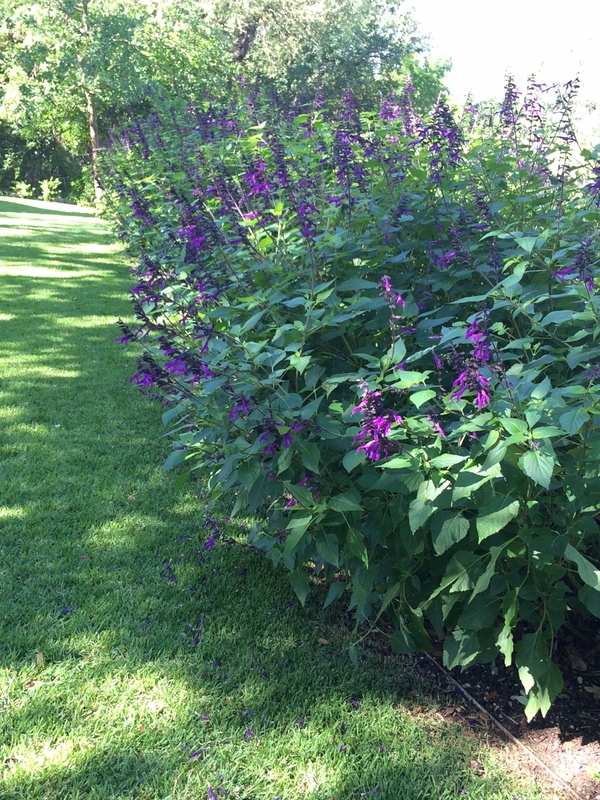 I have to admit I experienced more than a little zone envy when I saw this hedge of salvia. 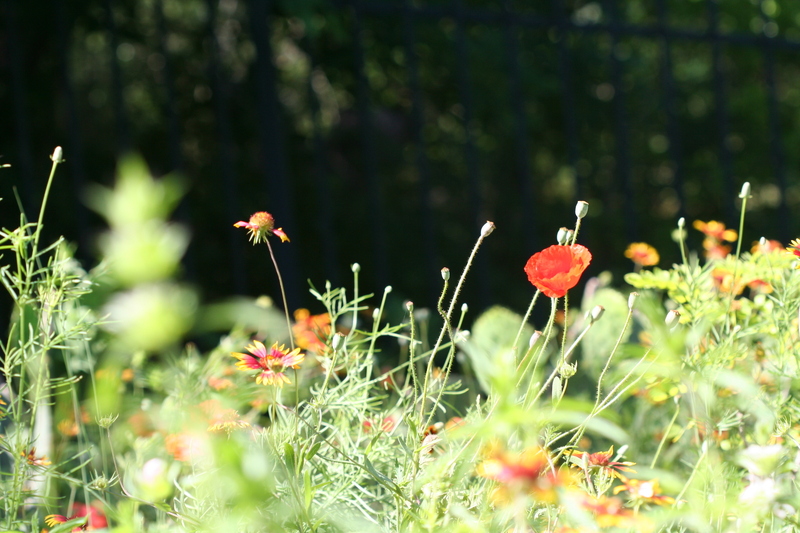 I left the garden feeling even more inspired to plant my own pollinator field. 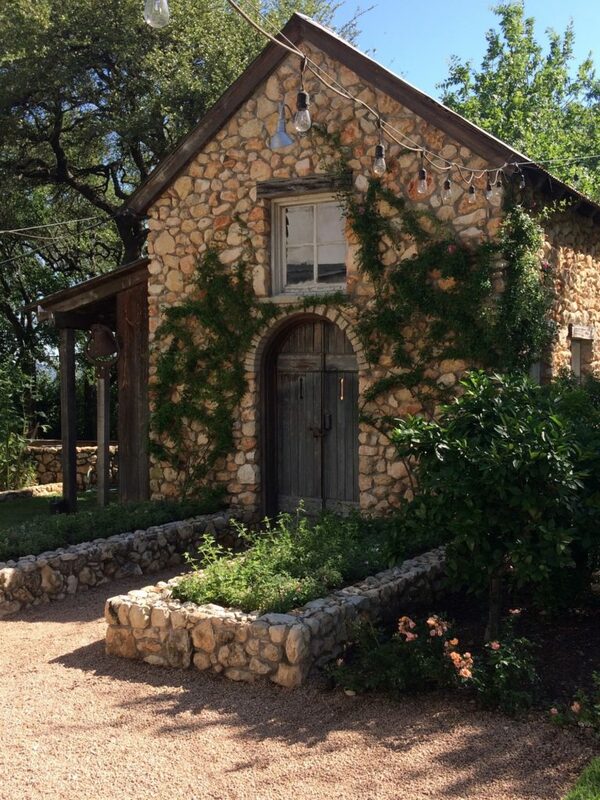 This adorable garden house is going to be covered with roses, Ruthie told us. Thanks to the Texas Highway Department’s helpful website for assisting me with identifying some of the plants in Ruthie’s garden. 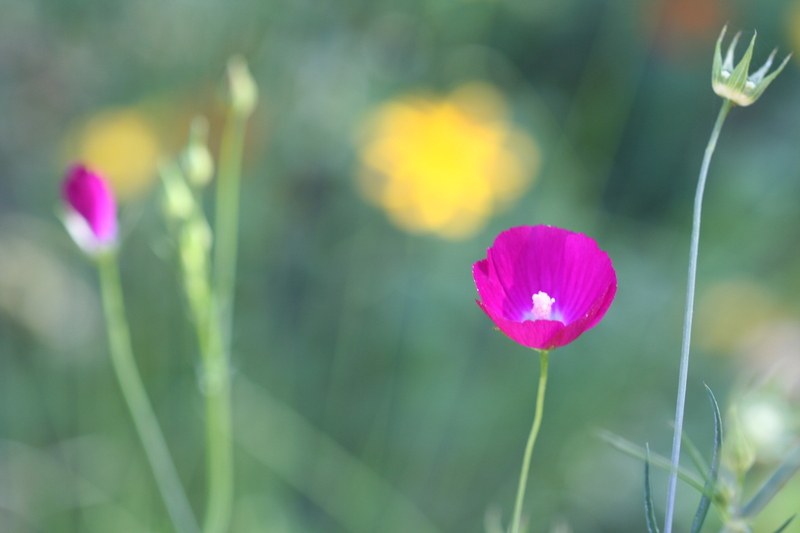 Ruthie’s wildflower meadow IS wonderful and inspired. I enjoyed your lovely photos! Thanks, Pam. There are so many lovely gardens in Austin. I’m late coming to your wonderful post. We saw so many different kinds of gardens it is hard to remember them all, and I had forgotten this one. It was so beautiful and peaceful – and yet I loved being taken to the top of the house and get an amazing vista of the city so near by. Thanks for the reminder of a lovely day.